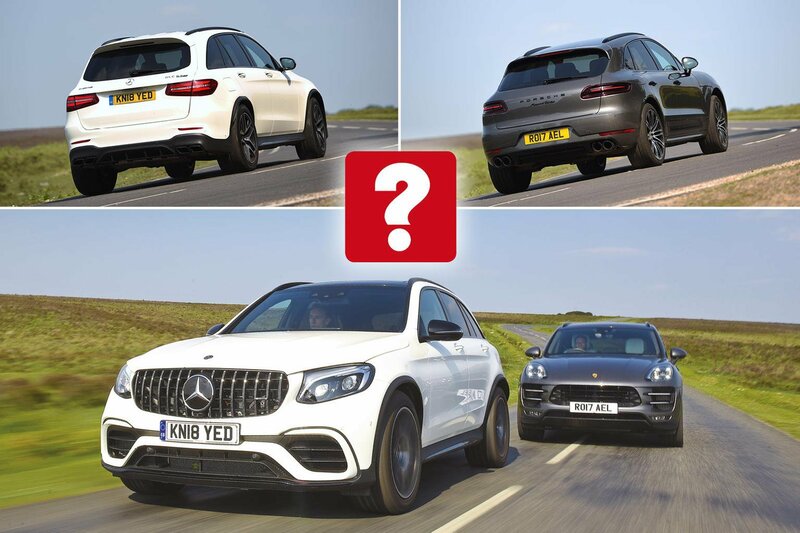 New Mercedes-AMG GLC 63 vs Porsche Macan | What Car? With a new twin-turbo V8 borrowed from the C63 S, it should pack a serious punch. A hugely popular car with good reason: it’s fast and classy, with serious cachet. Compromise. Unlike the generations before us, it’s something we’re rarely forced to do. If you miss a TV show, you can catch up online; if you don’t have time to shop for food, there’s a company that will deliver curated meals to your front door. How is this relevant to the car world? Well, it would appear that buyers’ aversion to compromise has had a direct impact on the gestation of the two SUVs here. In the case of the Macan Turbo Performance Pack, Porsche has taken an already high-performance luxury SUV and given its 3.6-litre twin-turbo V6 engine even more power, while still aiming to deliver all the comfort and practicality you’d expect of such a vehicle. “Ah,” said Mercedes. “Two can play that game.” So it got tuning arm AMG to shoehorn the twin-turbocharged 4.0-litre V8 engine from the startlingly quick C63 S saloon into the GLC, creating the GLC 63 S, complete with four-wheel drive and air suspension to keep everything manageable. If these SUVs were boxers, the Macan would be Floyd Mayweather (precise and well rounded), while the GLC would be Conor McGregor: loud, brash and capable of delivering one hell of a punch. Indeed, with 503bhp and 516lb ft of torque, the GLC completes the 0-60mph run in a scarcely believable 3.6sec and hits 100mph in 9.0sec (if you can find a disused runway). 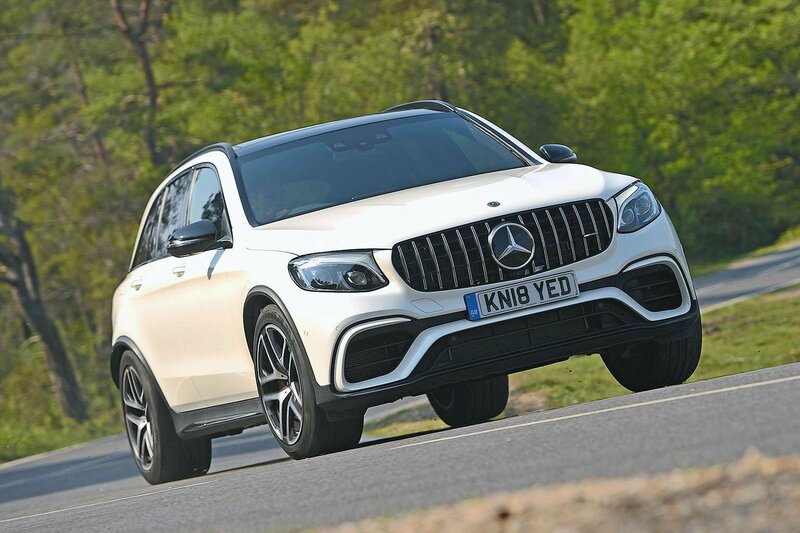 That makes the GLC not just quicker than the already rapid 434bhp Macan (which takes an extra 0.4sec to hit 60mph) but the quickest SUV we’ve ever tested. And, unlike the Macan, which delivers its power in a wonderfully linear yet rather undramatic manner, the GLC practically picks you up and throws you towards the horizon. From 3000rpm all the way to its 7000rpm limiter, the GLC’s acceleration is absolutely relentless, its nine-speed automatic gearbox firing through shifts with virtually no interruption. Factor in a thunderous soundtrack like a Nascar racer’s and it’s a driving experience that, for visceral pleasure, eclipses the Macan’s. But a powerful punch will only get you so far in the ring; you also need to be nimble and light on your feet. 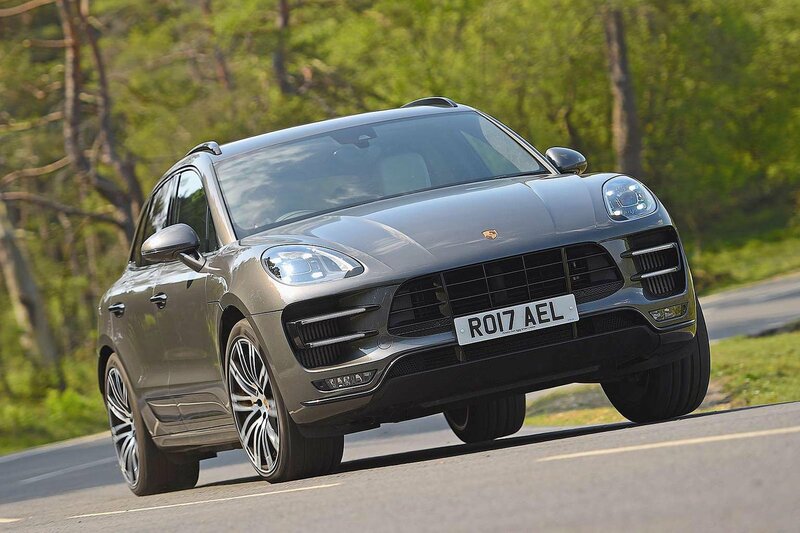 This is where the Macan excels. While the GLC’s steering is rather inconsistent in weighting and response, the Macan’s is more precise, letting you place the front wheels more confidently. Paired with crisper accelerator response and diligent body control from its air suspension, the Macan provides the driver with a more intimate connection to the road. However, don’t think the GLC is simply a point-and-squirt machine. It remains taut and composed on its clever air suspension, minimising lean through demanding corners even more rigorously than the Macan. And should you turn off its electronic stability aids, the GLC’s four-wheel drive system will even let you slide the car around playfully at low speeds. That said, in order to achieve this intoxicating driving experience, Mercedes has sacrificed refinement. The GLC’s brittle ride can become tiring on longer journeys, the boomy sports exhaust never fades into the background, there’s more buffeting around its front pillars and its tyres cause more roar at motorway speeds than the Macan’s. It’s by no means unacceptable, but the GLC can’t match the Macan’s impressively hushed ambience.